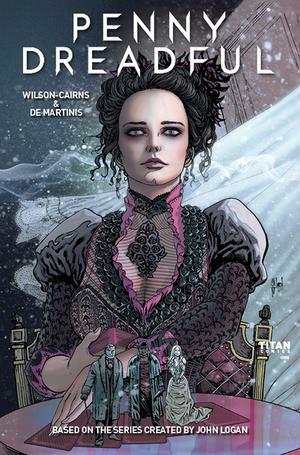 Penny Dreadful TV Show Continues In Comics! Issue #1 In Stores On Wednesday! It’s a huge week for Penny Dreadful fans! This Wednesday April 5, 2017, sees the release of Titan Comics’ highly-anticipated PENNY ​DREADFUL: THE AWAKING​ #1 – set six months after the shocking events of the Penny Dreadful season three TV finale. Written by Penny Dreadful TV series Co-Executive Producer Chris King, with art by Jesús Hervás (Sons of Anarchy), this new comic sees Ethan Chandler unable to move on. As he searches desperately for meaning in a world without Vanessa, ancient words echo across the centuries, and he is called on once again to take up arms against the creatures crawling out of the night! Issue #1 comes with some great covers to collect including two connecting photo covers featuring Vanessa (Eva Green) and Lily (Billy Piper), and art covers from Stephen Mooney, Rob Davis, Shane Pierce & Louie De Martinis. Plus, look out for a special Fried Pie variant cover in Books-A-Million stores from series artist, Jesús Hervás. 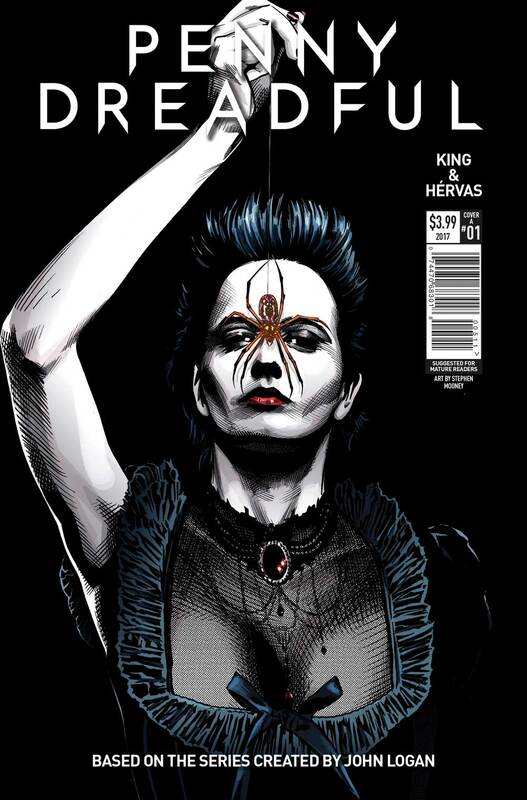 To support the comic launch, Penny Dreadful TV series Co-Executive Producer Chris King will be signing copies of PENNY ​DREADFUL: THE AWAKING​ #1 at Meltdown Comics in Los Angeles (7522 W Sunset Blvd, LA, California) on April 5 at 6PM. Chris King will also be signing copies of Titan’s new PENNY DREADFUL VOL.1 PREQUEL GRAPHIC NOVEL – featuring Vanessa Ives, Sir Malcom Murray and Sembene, the story recounts the events that led up to the explosive first season of the hit TV show.